I can still picture my mother in the kitchen with her small, hand-operated meat grinder. The grinder would be clamped to the countertop and I would watch as she pushed the meat chunks into the funnel-shape at the top. Occasionally, I was allowed to turn the wooden-handle; the meat came out perfectly ground and fell into a large bowl. I loved the old-fashioned atmosphere the grinder gave to the kitchen...no motors or sound other than that produced by the actual grinding process...we could have been pioneers! With that meat, my mother sometimes made her wonderful meatloaf which, in my estimation, tasted the way meatloaf was supposed to taste. 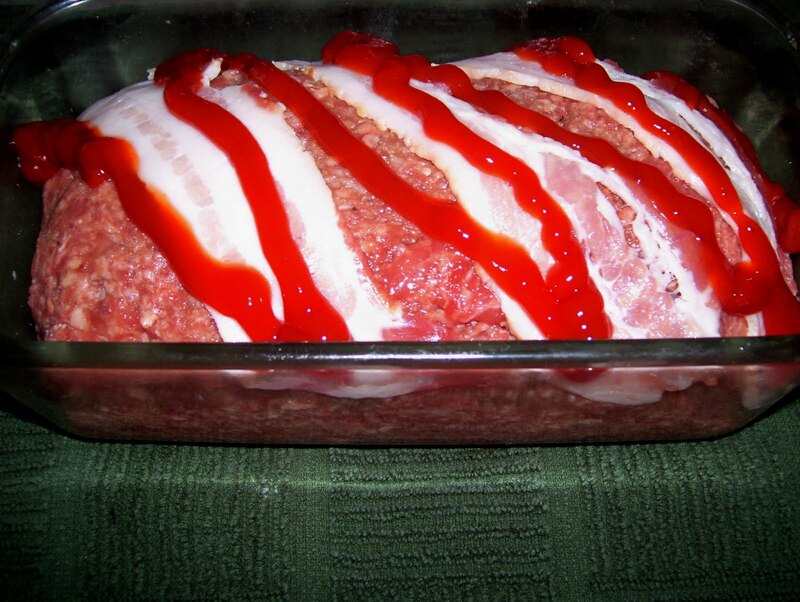 I thought all meatloaf tasted that way until I went to college. Dorm food, while filling, lacked a lot...and meatloaf was not one of their better selections. 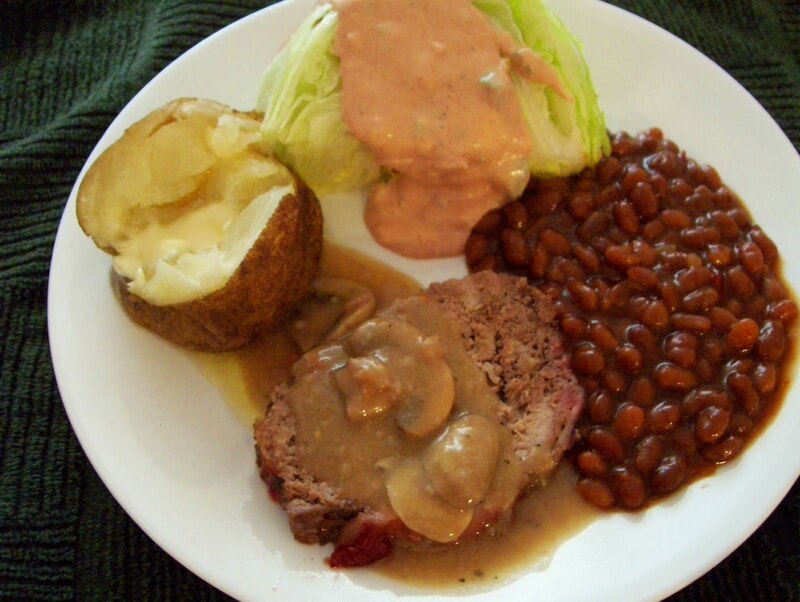 Ground beef and ground pork were both used in Mother's meatloaf. Her loaf had to be two parts beef and one part pork and it was always mixed by hand...the meat and all the other ingredients were blended together and then shaped to fit into the loaf pan by my mother's experienced hands. Ketchup was drizzled decoratively across the loaf and two or three strips of bacon would be placed on top of the loaf. Sometimes she put the bacon on first and then the ketchup. No matter, it always tasted wonderful. We could hardly wait for the smell of the meatloaf to start wafting through the house. Mother's meatloaf dinner was always accompanied by baked potatoes and baked beans. The potatoes were placed on the rack next to the loaf pan to bake; the beans simmered on the cooktop. All of the fragrances blended together like friends holding hands...it was heavenly. Although I buy my beef and pork already ground up, my meatloaf is almost exactly like my mother's. A trick I learned along the way, however, is to partially cook the loaf in the microwave. This cuts down the baking time in half. I usually serve meatloaf with ketchup on the side or, if I am really ambitious, I make a simple mushroom gravy to spoon across each serving. Note: Depending on size, you may need to partially bake the potatoes in the microwave using a potato bag as the reduced baking time will probably not cook them completely. Mix first 6 ingredients together in a bowl with hands. All seasoning is ‘to taste’. Put meat into a loaf pan. Form sides and top to resemble a loaf. Put half-slices of bacon on the diagonal across the loaf top and squirt ketchup decoratively across the bacon and meat. Cover with wax paper and cook in the microwave 7 min on HIGH; Uncover, place in regular oven 45 min. in 350. Otherwise, cook uncovered in regular oven 1 ½ hours at 350. 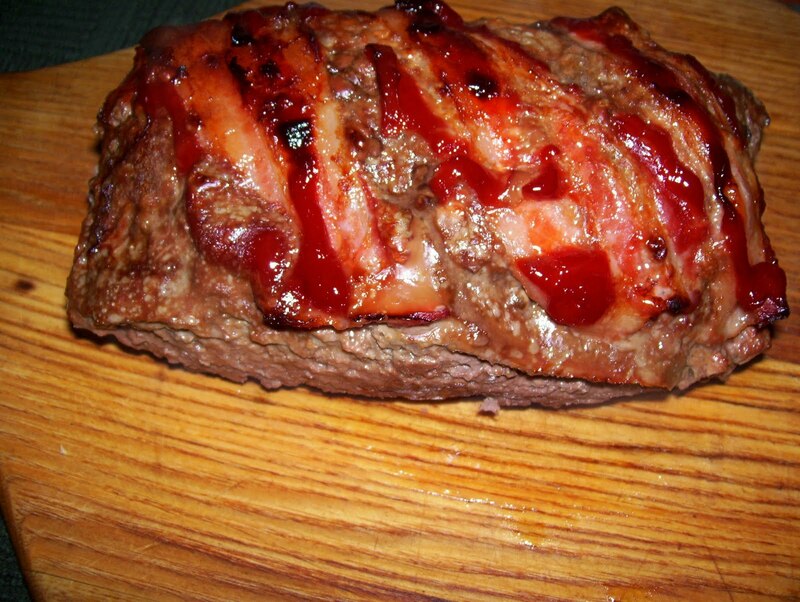 Lift meat out of loaf pan and place on a cutting board. Let is stand for a few minutes before slicing. *Note: Meatloaf is also wonderful served with Mushroom Gravy instead of ketchup. See post #160. Side dishes: Baked potatoes and baked beans.